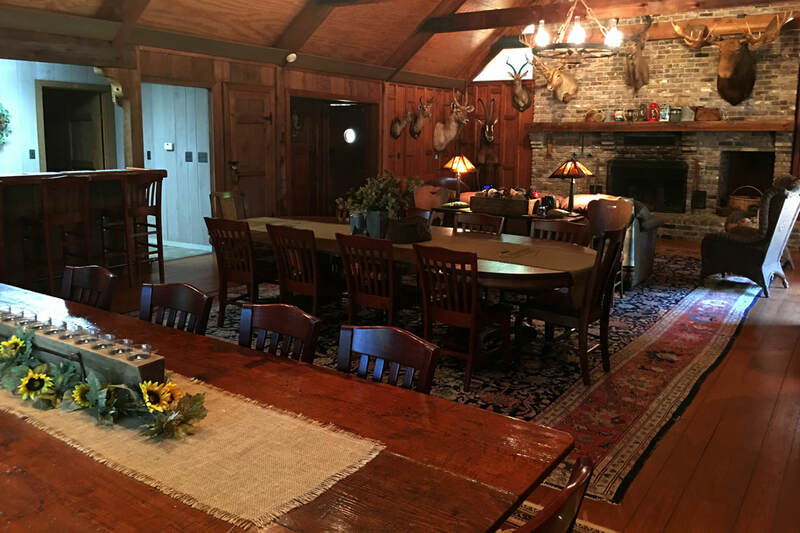 Constructed primarily from cypress and reclaimed lumber, the original lake house was built in the late 1970s. 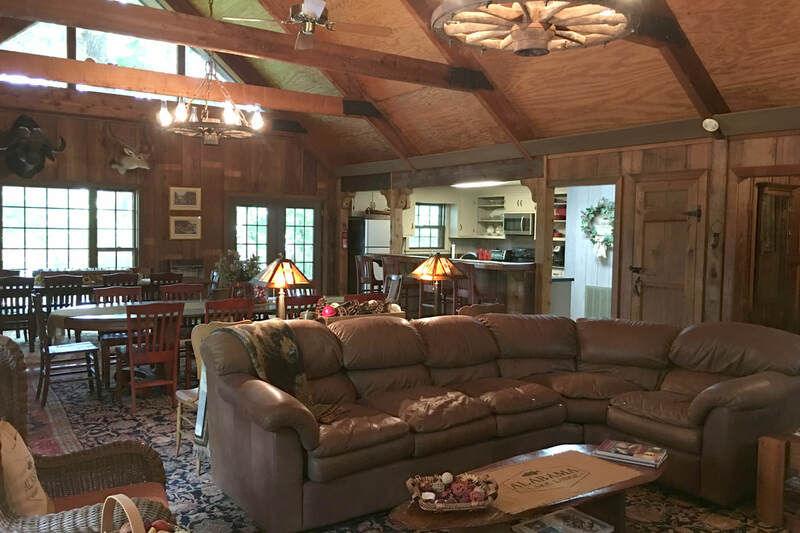 In the early 1990s, the Game Room and upstairs living quarters were added expanding the lake house into the current lodge. 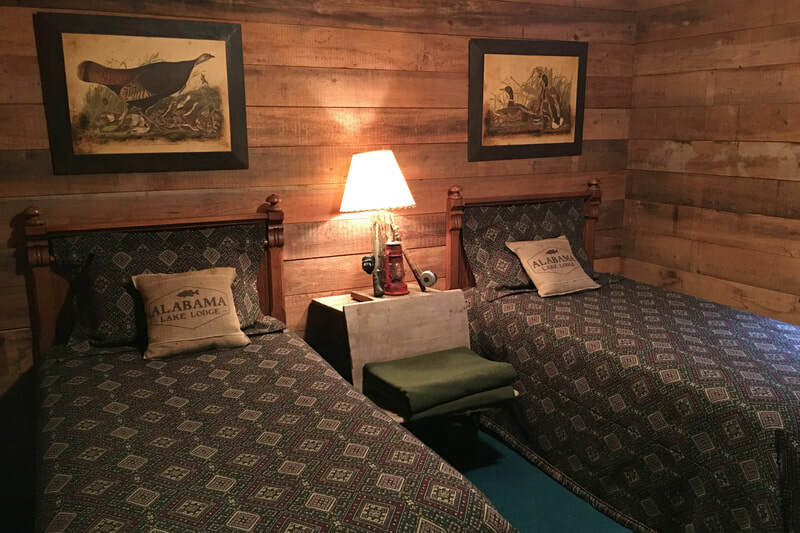 For the last twenty years, Alabama Lake Lodge has been used exclusively by our family and personal friends as our private escape. 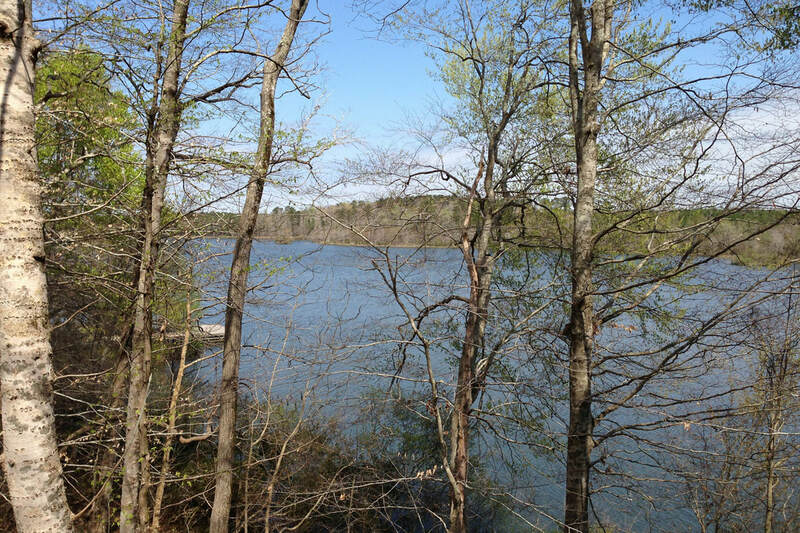 We are now extending you an invitation to visit and experience your own personal Alabama Lake Escape so come on in and have a look around! On a chilly night, relax by the open hearth fireplace in the 1200 square foot Great Room/Kitchen area. 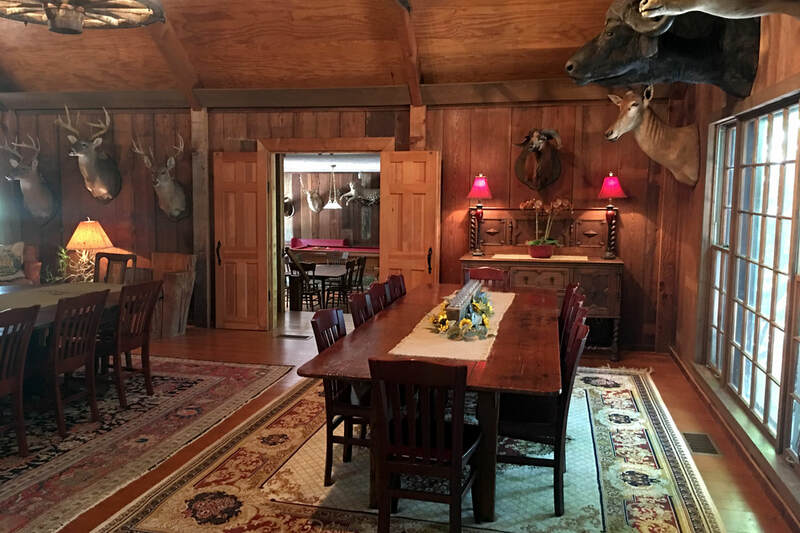 You can easily serve a meal to your entire group in the room’s two dining areas. Overlooking the lake, is a custom made dining table. Off the Great Room is the kitchen. 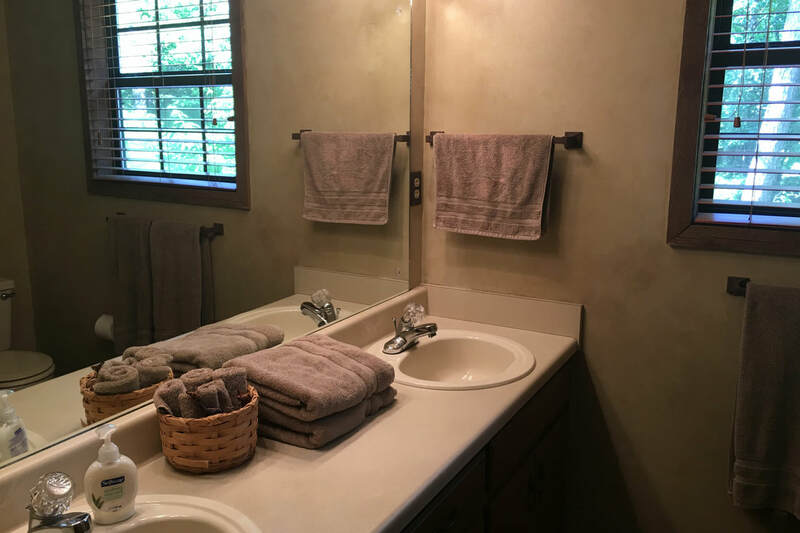 Appliances include: refrigerator, dishwasher, range, microwave, and coffee maker. 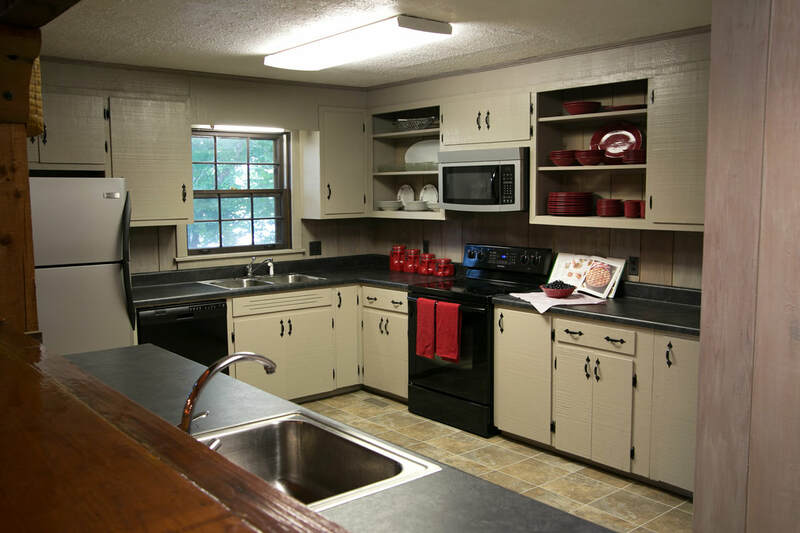 It is fully furnished with dishes, cookware and utensils, but be sure to bring your own paper products. Since limited dining and grocery options are available in Aliceville, Alabama, plan to bring your own food. 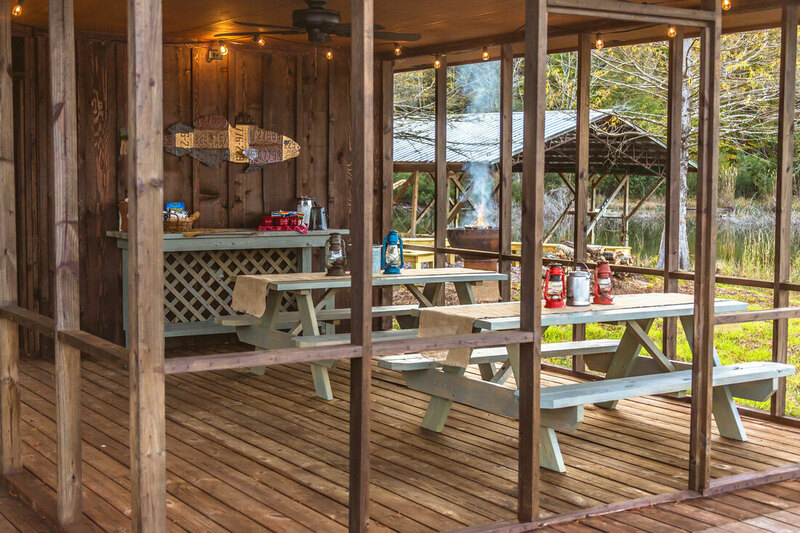 An outdoor gas grill is also available for your use, so be sure to bring some steaks! 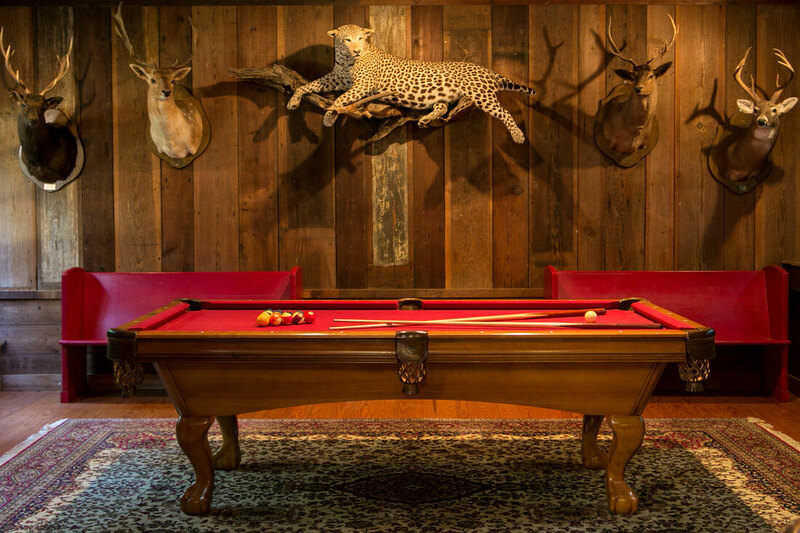 Shoot a game of pool or watch TV in the Game Room. Catch the game on Direct TV or see a movie on the DVD player. Play a game of cards or put together a puzzle on the dining table. 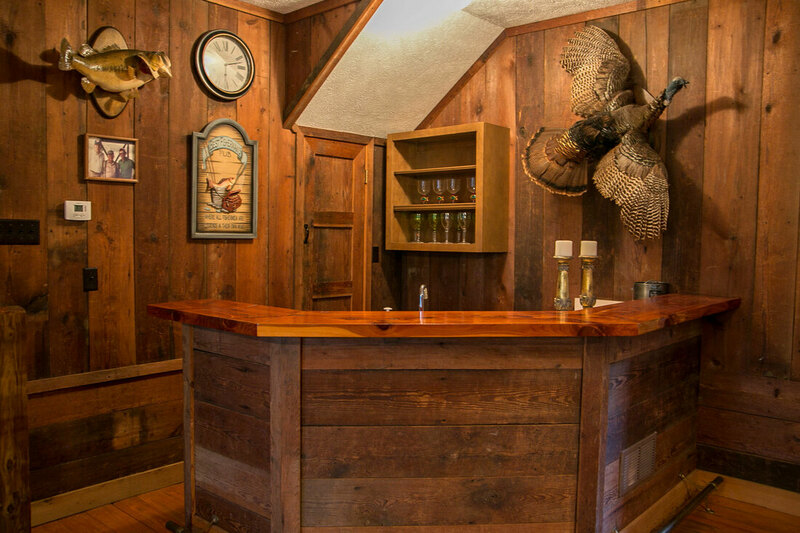 In the bar area is a mini fridge and ice machine to keep your drinks cold. The sectional offers additional sleeping with a queen sofa bed with extra bed linens in the ottoman. 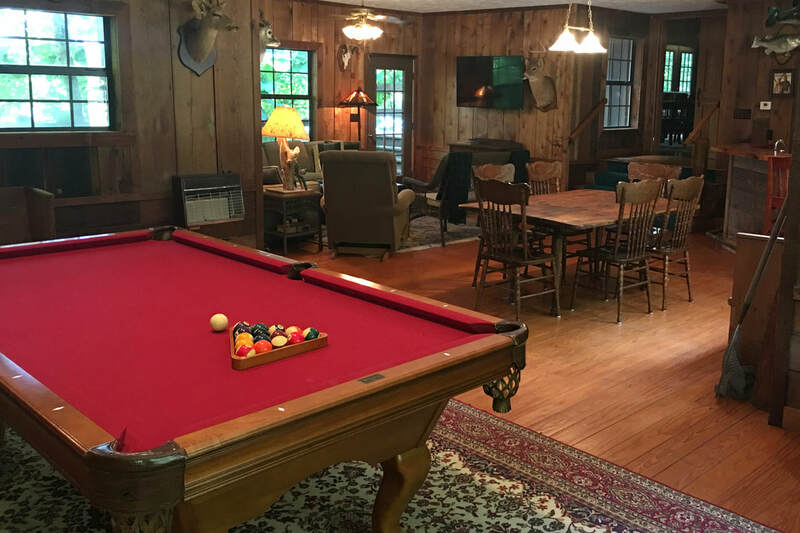 The Game Room offers something for everyone in your group. 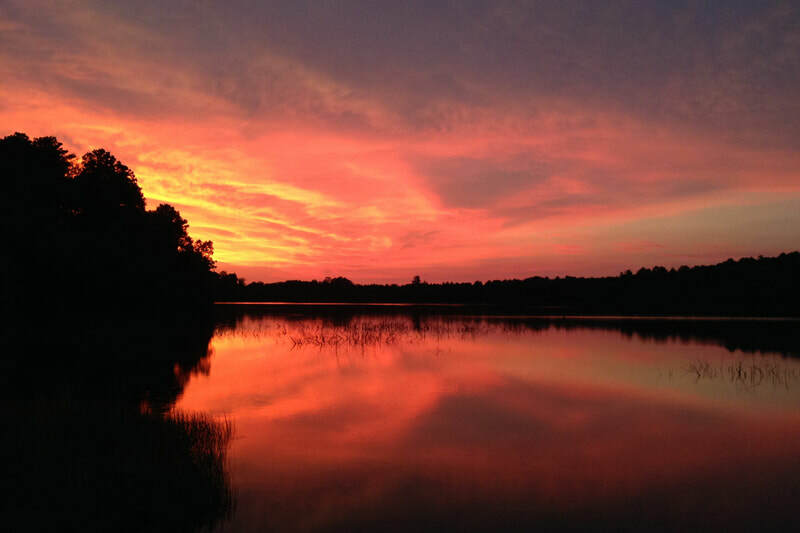 Alabama Lake Lodge offers five bedrooms and three bathrooms to accommodate 10 guests. 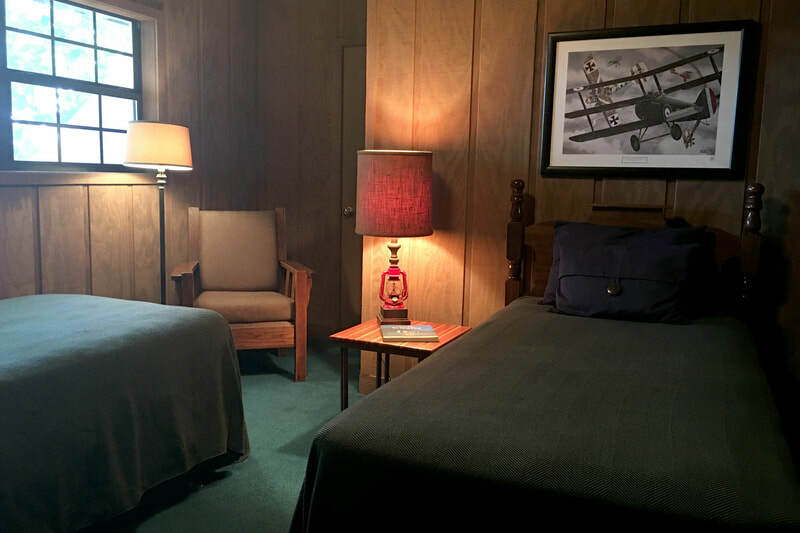 The sectional in the Game Room has a Queen bed to provide additional sleeping arrangements for a total of twelve quests. 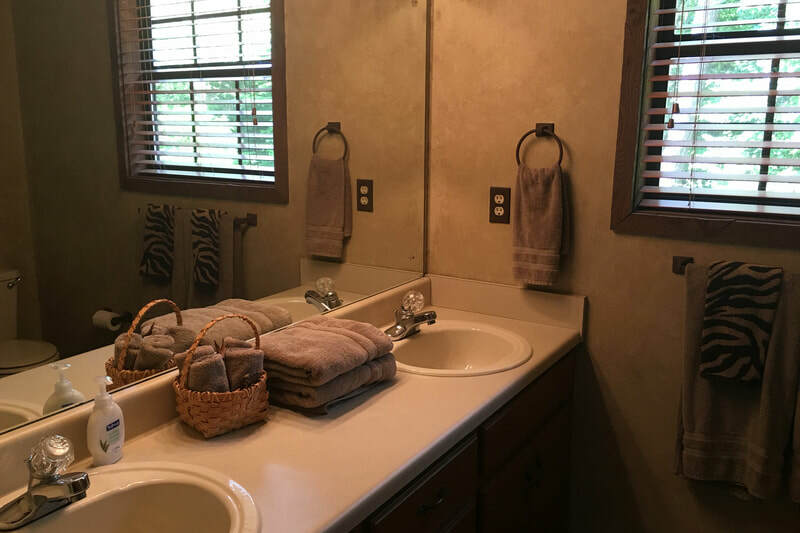 There are two bedrooms each with two twin beds and a hall bath on the main level. 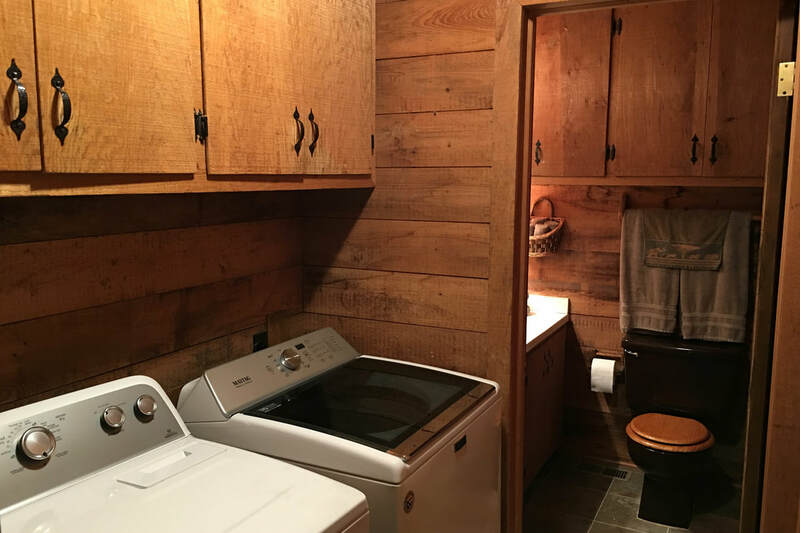 A washer and dryer is also located off the main level hallway. 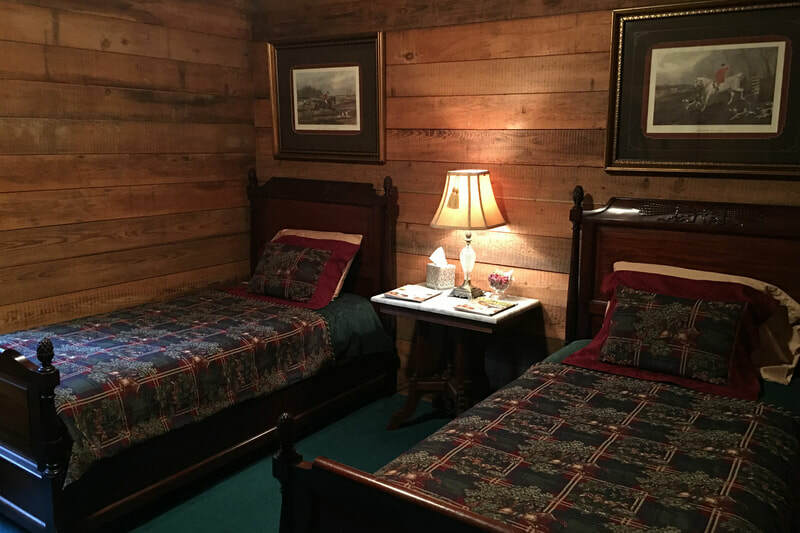 Upstairs over the Game Room are the remaining accommodations. 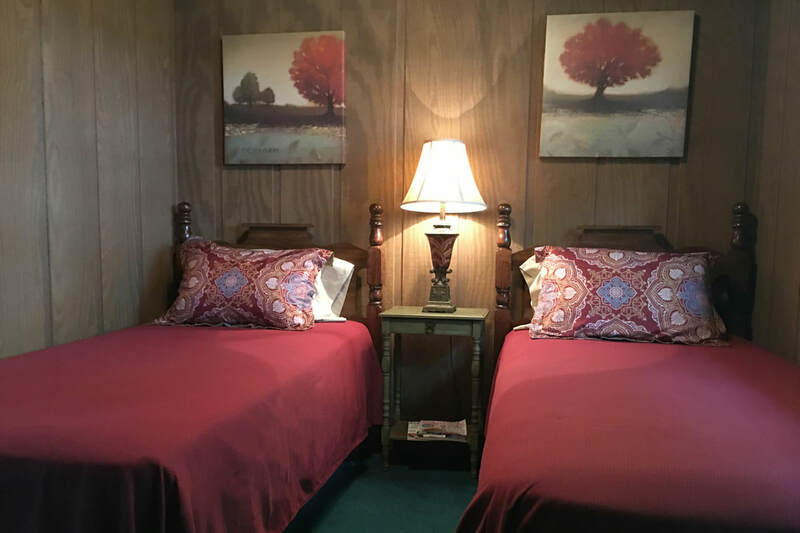 Two bedrooms with two twin beds each share a hall bathroom. 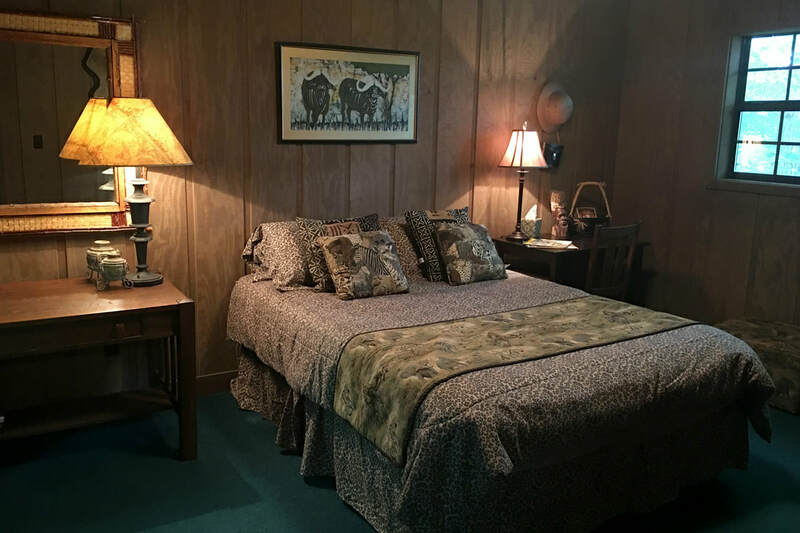 There is also a Master Bedroom with a Queen Bed and en suite bathroom. We provide bed and bath linens for your use. 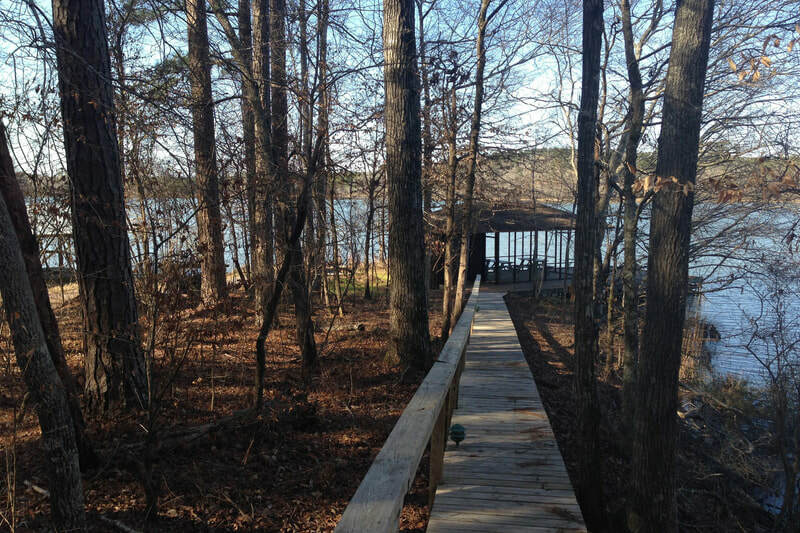 Follow the boardwalk off the back deck to the picnic area on the covered dock. In the evening turn on the party lights and enjoy eating with a view of the lake. 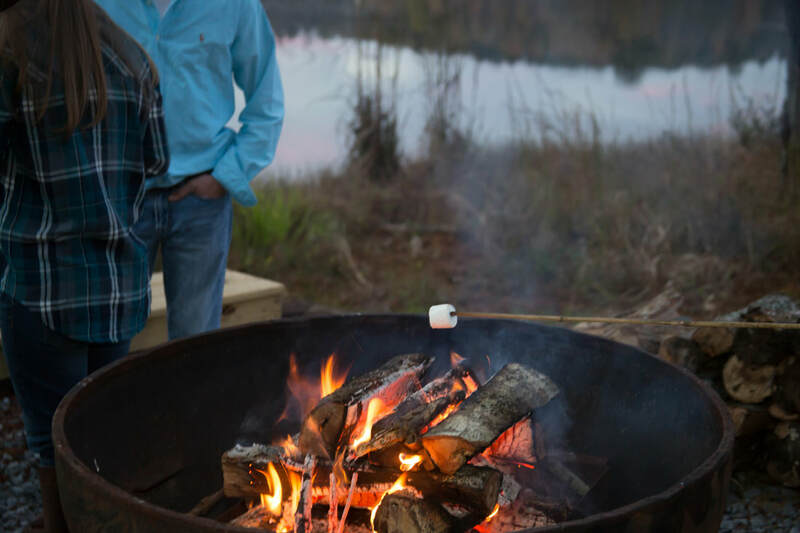 Roast some marshmallows over the lake side fire pit and end the day with some yummy s’mores. 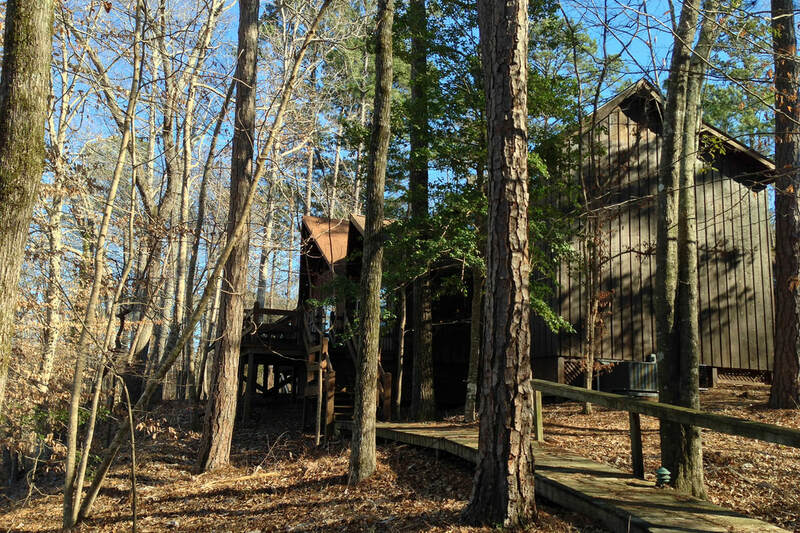 Outside the Great Room and the Game Room are adjoining decks with two sets of outside tables and chairs. 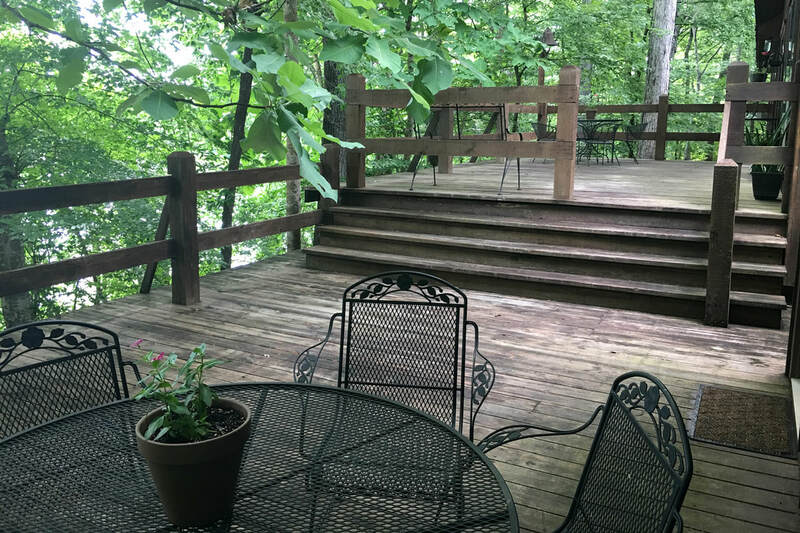 Enjoy your morning coffee on the deck overlooking the lake or get up early to see the sunrise over the water. 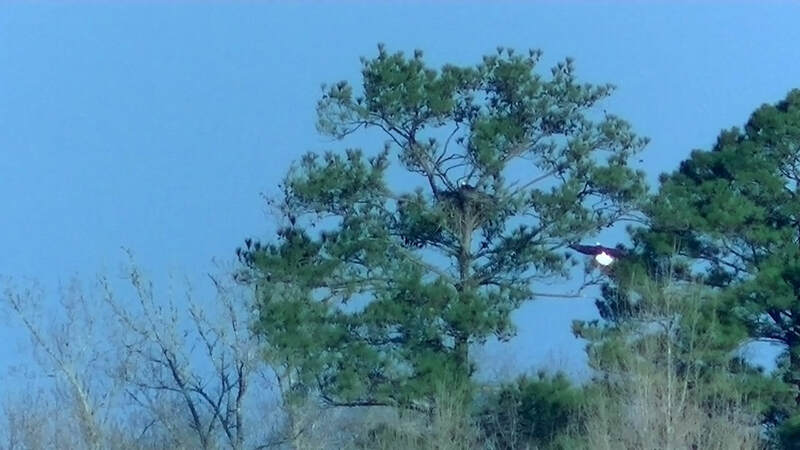 You might be able to get a glimpse of the pair of American Bald Eagles that nest on the edge of the lake. 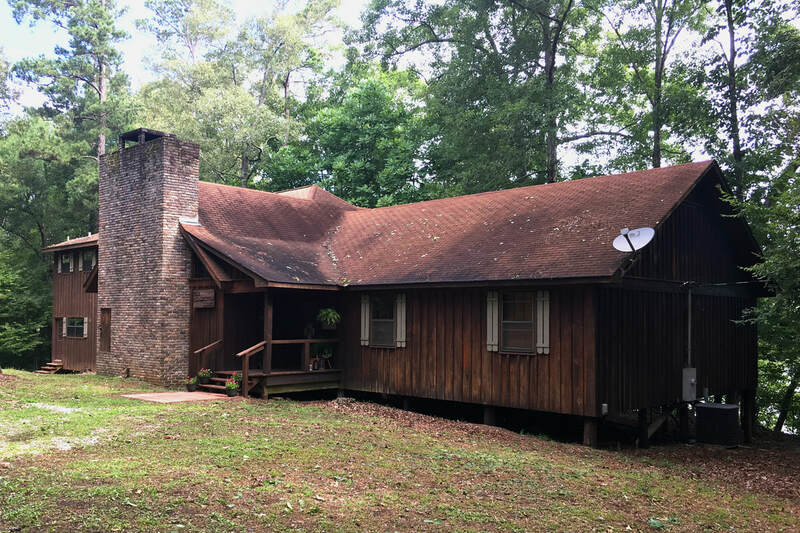 © 2019 Alabama Lake Lodge by Designed Responsive.